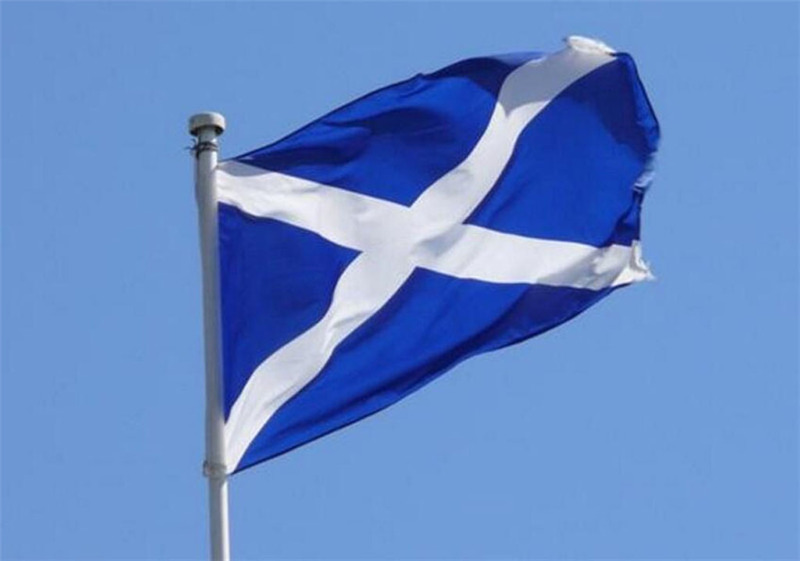 On Thursday last, Ireland played Scotland in an historic U-19 women’s international friendly in Tulla. The impressive Cragg grounds looked immaculate as the sides played out an entertaining 1-1 draw, seven years after the FAI promised the club an underage international match. 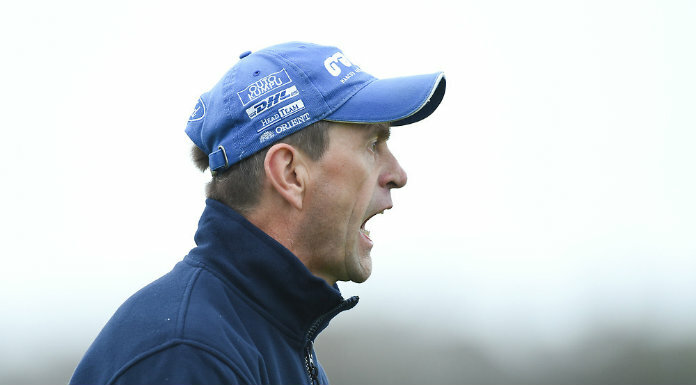 Speaking to The Clare Champion about his daughter’s eagerness to play soccer, Murdoch said Tara had a strong desire to play for her home club. 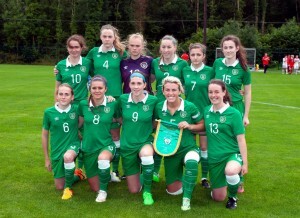 The Ireland womens U-19 team. He said while Tulla United AFC now has women’s teams that are challenging for honours, that was not always the case. Tara Gleeson described last Thursday as a big day for Tulla and for ladies soccer. Tara said the social side is also an important benefit of having such a strong club, with girls taking part from all over East Clare. 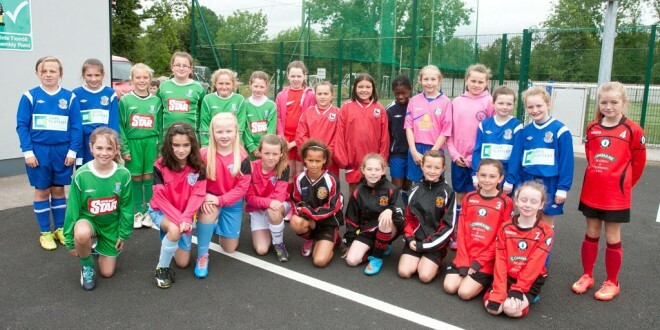 The current U-16 squad has 20 girls from 10 different parishes. “We know them in school now because we all go to school in Tulla and it’s nice to know them beforehand through soccer,” she noted. Tara is now over age for the U-16s, so she trains the U-10 and U-12 girls. She said she is thoroughly enjoying the experience, however, she does miss playing from time to time. Trainer Pat McNamara said he has been involved for about 30 years at Tulla United and the facilities are the single biggest reason why the club is becoming so successful in ladies soccer. “There’d be no ladies team only for the facilities because if they had to go over to an ordinary pitch and no dressing rooms, they’d be definitely no ladies [soccer],” he said. Chloe Moloney of Connolly Celtic, in Kilmaley, who has been playing international underage soccer for Ireland for two years, lined out with the Irish team in the match against Scotland. 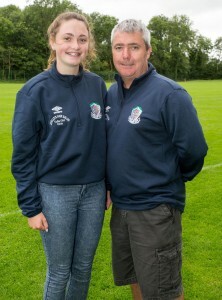 Last June, Chloe represented Ireland in the U-17 European Championships in Iceland alongside Lifford’s Aislinn Meaney. She said it was great to be playing for Ireland in Clare for the first time.